Although little-known outside of China, baijiu is nevertheless the world’s most-consumed spirit, topping the likes of gin, vodka, whisky and rum. Here are five things you need to know about baijiu, which sounds like “bye Joe” and translates as “white liquor“. As noted, the world consumes more baijiu than any other spirit: it just happens to almost all be drunk in China. The country has thousands of producers that make some 20 billion bottles – yes, billion – in a typical year. That’s enough to fill 4,000 Olympic-sized swimming pools. It’s also not that surprising given that China has over a billion people, that baijiu is closely tied to festivals, business entertaining and family gatherings, and that this booze is usually drunk as a shot. The toast “ganbei” equates to “bottoms up” and is something imbibers will hear repeatedly during an evening out. Baijiu can be made from a single grain, or a blend of grains, with sorghum, wheat, corn and rice among the top options. Potency varies, with a liver-punching 52 percent alcohol level common. The main styles are described in terms of aroma. Sauce aroma baijiu, for example, typically hail from southwest China and are the funkiest, with descriptions including soy sauce, herbs, sesame and even stinky socks. Strong aroma baijius tend to be pungent but “cleaner” smelling, with some spicy characteristics, while light aroma baijius typically hail from the north and are often considered fruitier, more phenolic and slightly sweet. Qu (sounds like “chew”) is crucial for making baijiu and is often equated with yeast, although it is much more than that. Think of it as a brick (literally, it often comes in that form) of packed grains that include mold, bacteria, yeast and even visible bugs. Qu kicks off the process of turning those grains into baijiu. No qu, no booze. 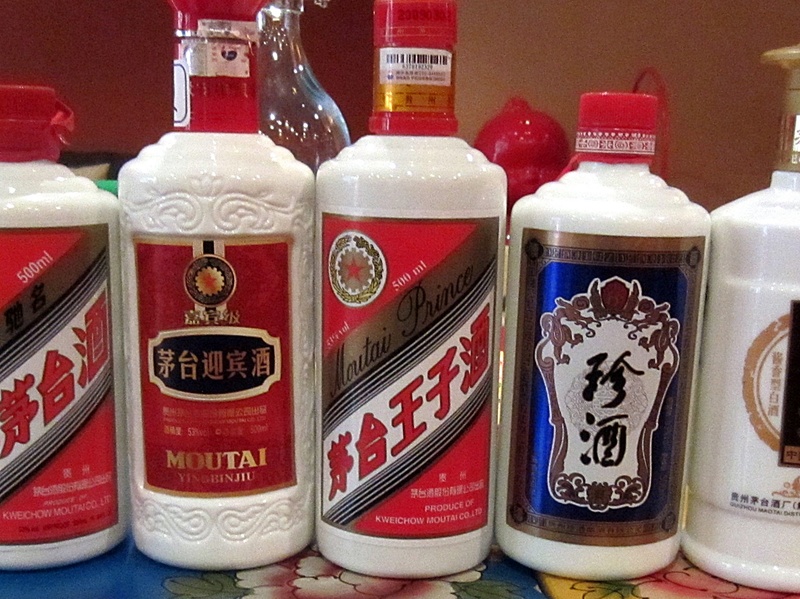 The top baijiu companies are worth a lot of money. The most famous brand, Moutai, had a market capitalization of nearly USD73 billion in April 2007 and overtook Diageo as the world’s most valuable booze company. It was also deemed the world’s top spirit label in 2016 by Brand Finance, edging Johnnie Walker. Three other baijiu brands made the top ten, with Yanghe in third, Luzhou Laojiao in sixth and Wuliangye in ninth, joining the likes of Jack Daniels, Hennessy, Bacardi, Smirnoff and Absolut. Baijiu is relatively unknown beyond China but the situation is slowly changing. Dedicated bars have opened, such as Lumos in New York and Fu in Liverpool, and bartenders worldwide are experimenting with this spirit. 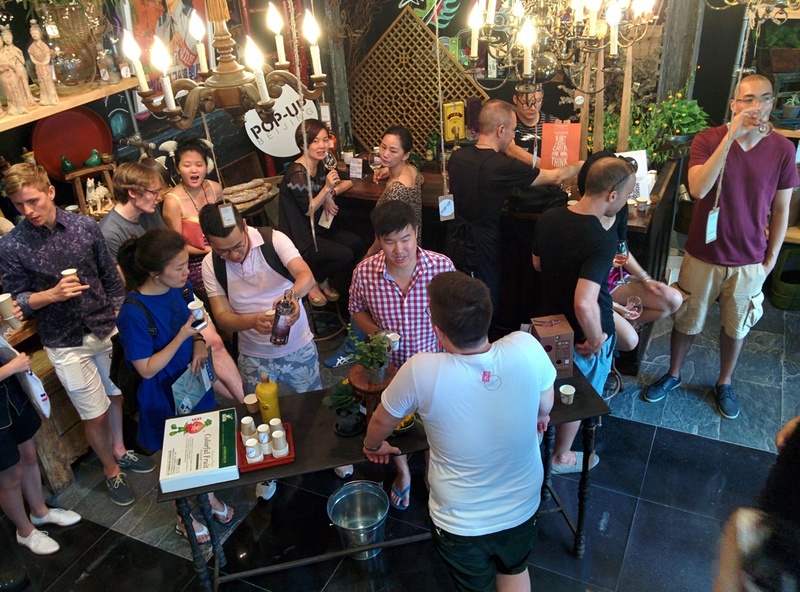 There are annual events like Baijiu Cocktail Week and World Baijiu Day as well as an English-language guide that covers baijiu’s history, styles and brands. There are even producers beyond China, such as Taizi in New Zealand, Vinn in the United States and Dragon Mist in Canada. Baijiu is unlikely to take the place of whisky, vodka or rum on the world’s bar shelves but it might soon have a spot alongside them.